Clean and comfortable but a bit old. Reasonable priced. Value for money. 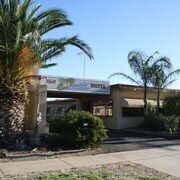 Which hotels are closest to the Nhill airport? 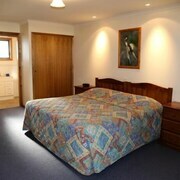 Where to stay near top Nhill attractions? What kind of hotels are in Nhill? Which hotel chains are in Nhill? Budget-minded travelers will find good deals in Nhill, and many visitors are sure to appreciate the coffeehouses. Tourists can also enjoy all the city has to offer including its golf courses. 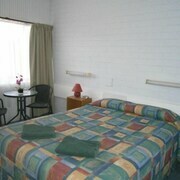 In Nhill, there are 3 hotels and other accommodations to choose from. The city's cultural venues include Nhill Aviation Heritage Centre and Australian Pinball Museum. 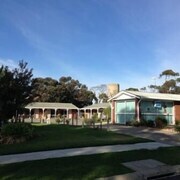 A couple of additional sights to add to your agenda are Davis Park and Nhill Visitor Information Centre. 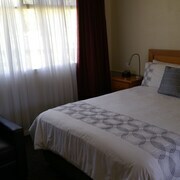 Little Desert Nature Lodge - This 3.5-star lodge features free parking, conference space, and laundry facilities. If you want to journey outside of the city, hop aboard a train from Tarranginnie Station, Nhill Station, or Diapur Station. Nhill may not have many public transit options to choose from so consider renting a car to explore the city. Are there hotels in cities near Nhill? Explore Nhill with Expedia.com.au’s Travel Guides to find the best flights, cars, holiday packages and more!